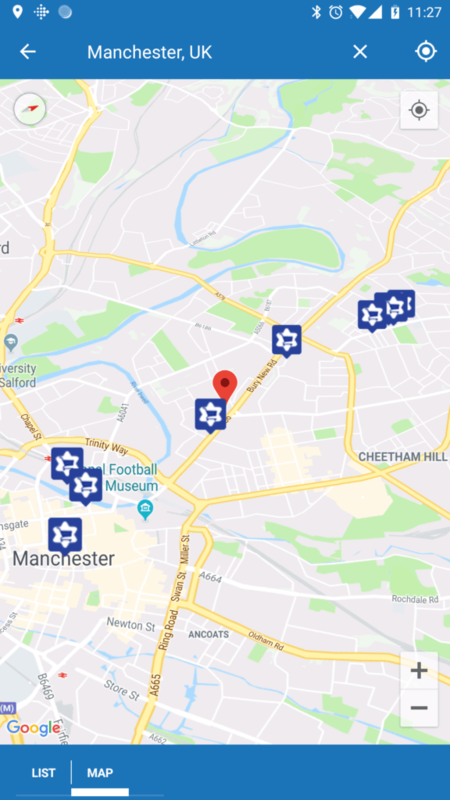 Check out, maybe near you there is a nice kosher restaurant or cafe. Feel free to add your favorite. 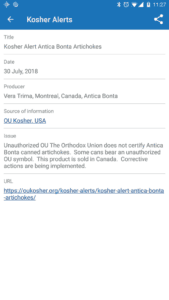 Many organizations issue alerts about issues with kosher certified products. 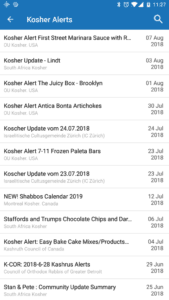 Take a look on our the most complete list of kosher alerts from all over the world. 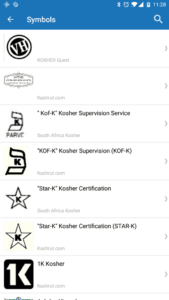 So many different kosher symbols are there nowadays. How to understand which one means what? 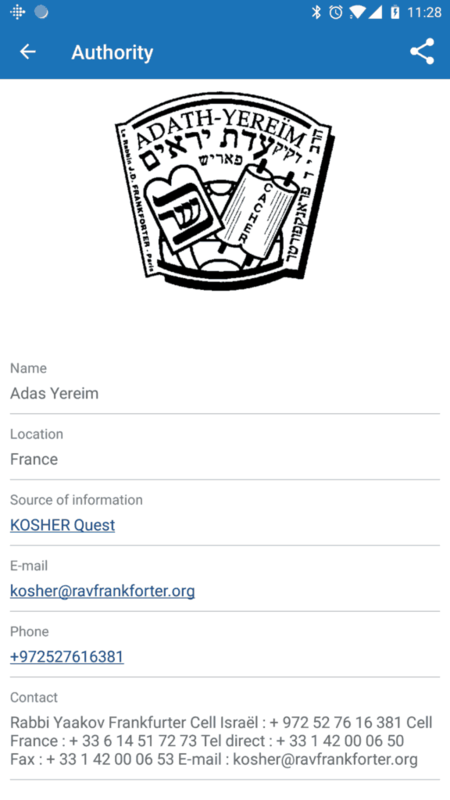 We collected kosher symbols from many sites and databases and you can get information about any of them. No more extra payments for Internet access. 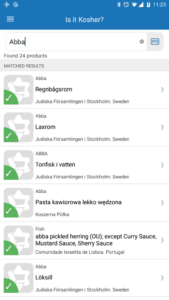 Use our offline access feature and download any needed databases right to your mobile phone. Our system stores information from more than 250 databases from all over the world. 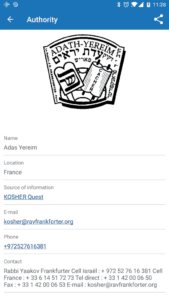 So, about any country you are going, you will be able to find kosher food. Status of a product might change. So, don't rely only on you previous experience, follow status changes of the products in order to get the most updated information about them. 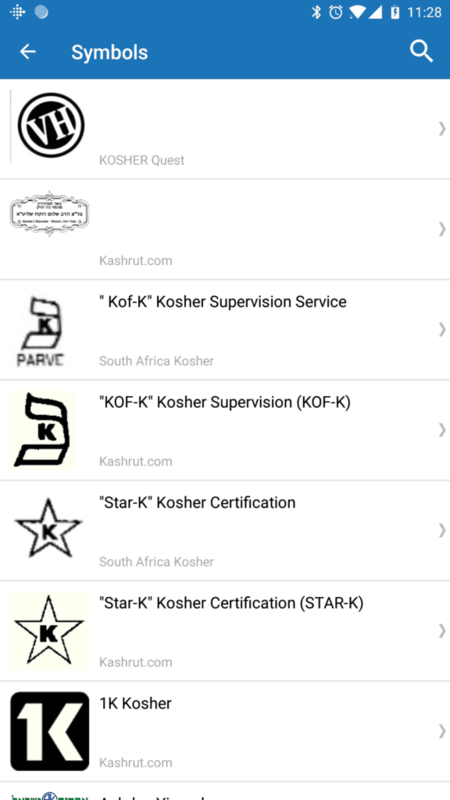 We established a network of Rabbis, who are happy to answer your request about kosher status of products. 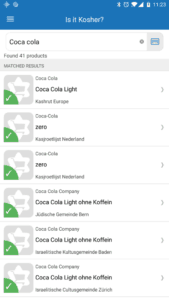 Just in the app make a picture of the product, add barcode and product name. Ask you question and send. In 24 hours you will get a response. 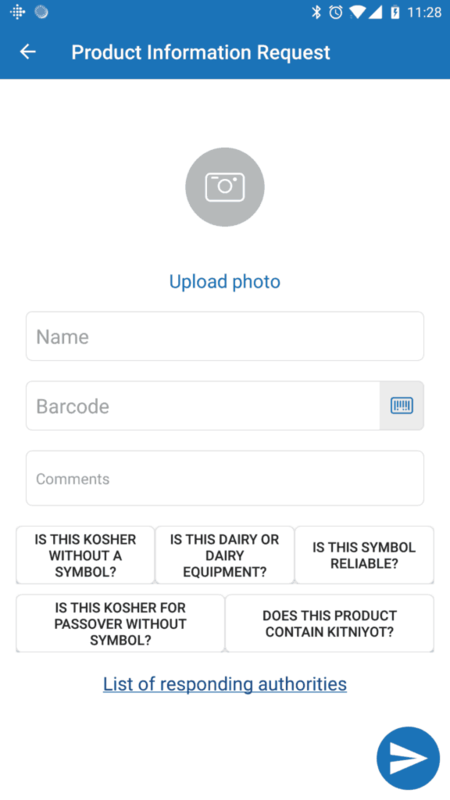 The people behind IsItKosher have created an app for both Android and iOS that can quickly tell people if it’s Kosher or not. 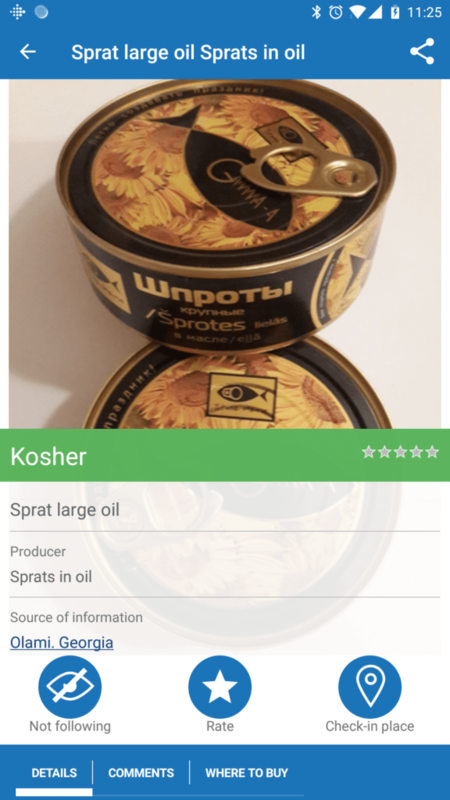 The app gives immediate access to about 40 different resources and databases for Kosher products, putting this information at the user’s fingertips. 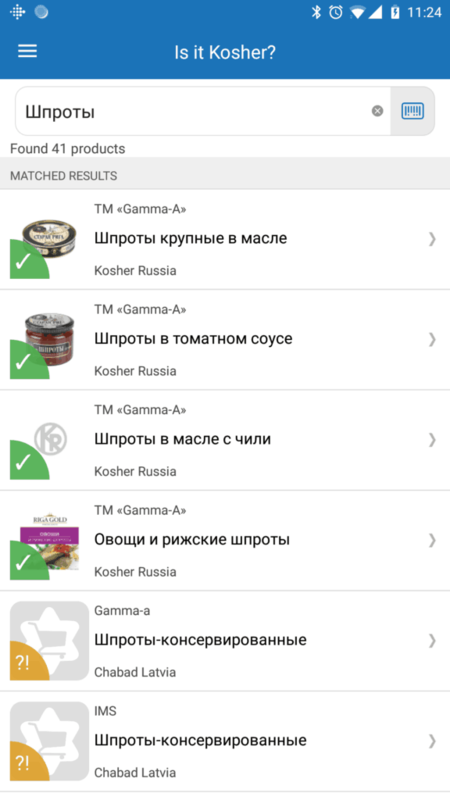 Isitkosher – это своеобразный «гугл»: система поиска по базам данных кошерных продуктов. Такие базы есть у каждой крупной организации, занимающейся кошерным сертифицированием (OU, OK и др.). Это в основном американские организации. В Европе подход к кашруту иной – в общинах ведется работа по проверке на кошерность «обычных», не сертифицированных продуктов, составляются списки. В итоге мы имеем огромное количество баз, перечней и списков. Удобно это? 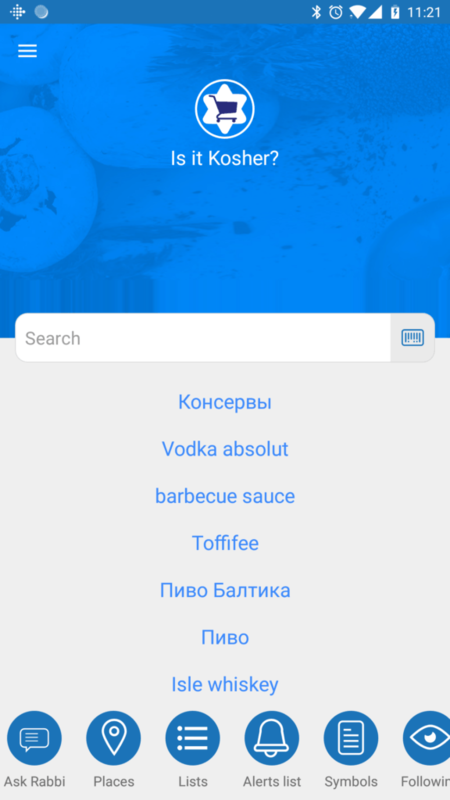 Безусловно, нет. Особенно для путешественника, который вынужден, куда бы он ни приехал, срочно разбираться в местных кошерных реалиях. 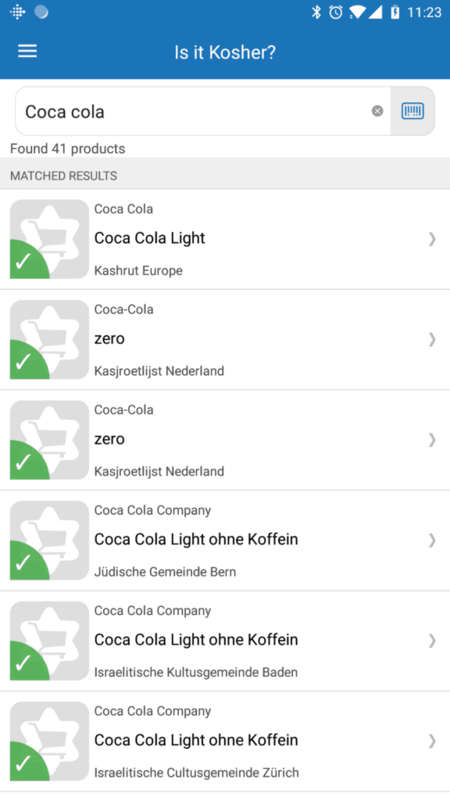 The application, available on the Android or iPhone, can scan over fifty databases in over thirty-five countries to verify the validity of a kosher hechsher on all products and items. 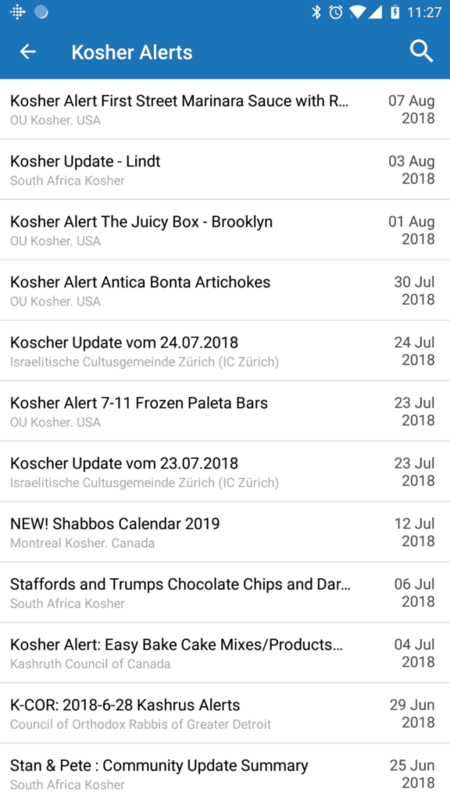 Useful on an international scope, the app innovatively includes all the big kosher authorities, and is constantly updated or notified for changes. 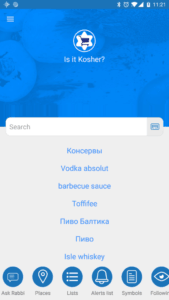 Essentially, the platform is a basic search service that allows users to enter the name of a particular product and reference various product databases. 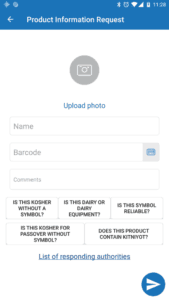 Or, the user can scan the item while in the store, if that route is more suitable. The company recently made the item more social-friendly, as well, allowing users to share the location and price of items that they find. 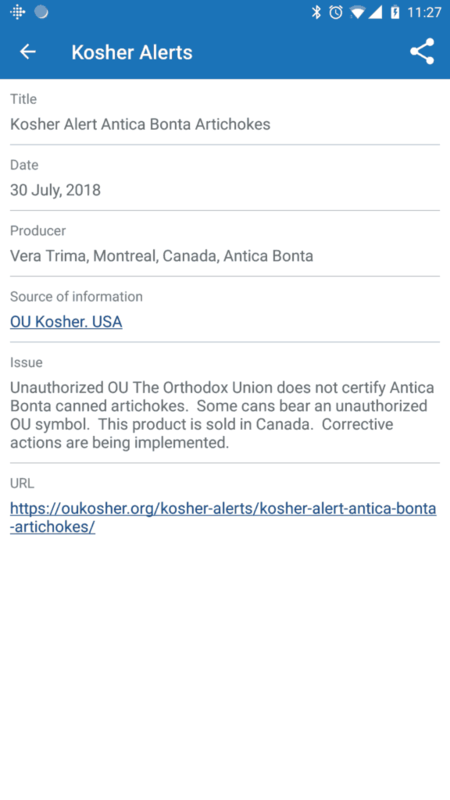 די נײַע פּראָגראַם, וואָס הייסט ?Is It Kosher („איז עס כּשר?‟), קאָסט נישט קיין געלט; איבער 20,000 מענטשן אין 40 פֿאַרשיידענע לענדער האָבן עס שוין אינסטאַלירט אויף זייערע טעלעפֿאָנען. 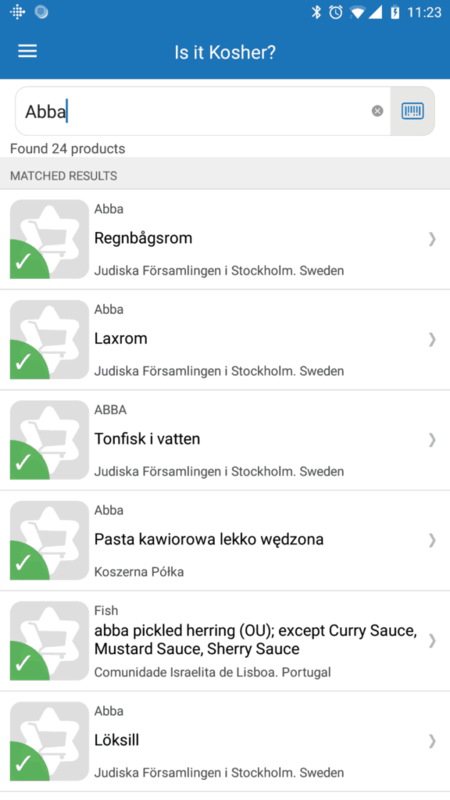 די אינפֿאָרמאַציע־באַזע נעמט אַרום מער ווי 100,000 פּראָדוקטן. בעשקין האָט געזאָגט, אַז יעדן חודש באַווײַזן זיך בערך 4,000 נײַע באַנוצער פֿונעם עלעקטראָנישן זוך־מיטל. Estonia’s kosher food problem yields smartphone solution. 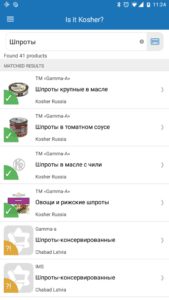 Offering information on more than 100,000 products, the free application has been downloaded and installed on more than 20,000 smartphones in over 40 countries in both Android and iOS versions since its launch earlier this year, Beshkin said, and is used monthly by 4,000 unique users.